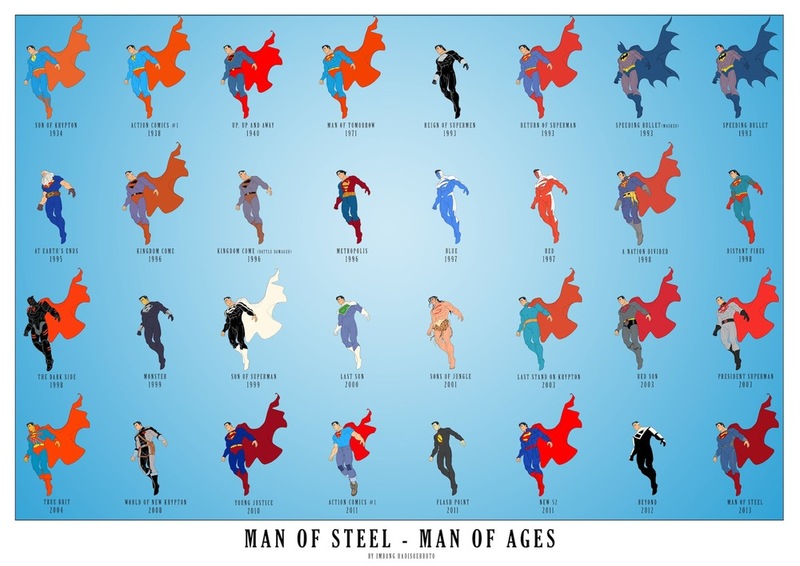 In anticipation of the release of Zack Snyder's Man of Steel DeviantARTist BongzBerry created this fantastic illustration that pays tribute to Superman and all of the different costumes that he's worn over the years. It's called "Man of Steel - Man of Ages." Check out of all of his different super suits, and let us know which one your favorite is?